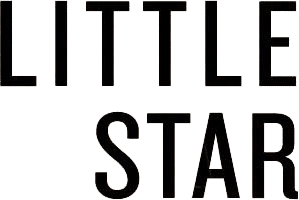 Little Star, an annual journal of poetry and prose, was founded in 2009 by Ann Kjellberg and Melissa Green. ANN KJELLBERG, Editor, has been an editor at The New York Review of Books, Farrar, Straus & Giroux, and Artes, the journal of the Swedish Academy. She is the literary executor of the poet Joseph Brodsky and the editor of Brodsky’s Collected Poems in English. She is an adjunct professor of creative writing at Bryn Mawr College. MELISSA GREEN, Consulting Editor, is the author of two collections of poetry—The Squanicook Eclogues and 52—as well as a memoir, Color is the Suffering of Light. Her work has appeared in Yale Review, AGNI, Paris Review, and The New York Review of Books. The Squanicook Eclogues received the Norma Farber Award from the Poetry Society of America and the Lavan Younger Poets Prize from the Academy of American Poets. There’s also the phenomenal Little Star, a journal that has a hand thoughtfully in both digital and print realms, publishing an annual journal of poetry and prose while also offering a weekly mini-magazine available as an app that you should go ahead and download.